Impossibly cute and eager to please, these 18K two-tone gold earrings are like glorious daisies that sparkle to no end. 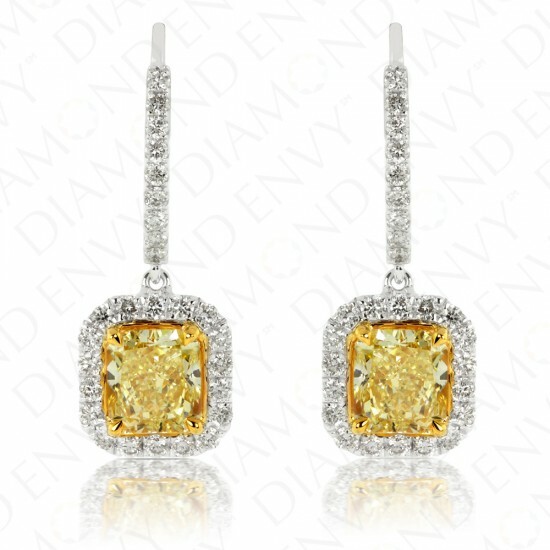 They feature a pair of VS2 radiant cut Fancy Intense Yellow diamonds, 1.70 ct. tw. 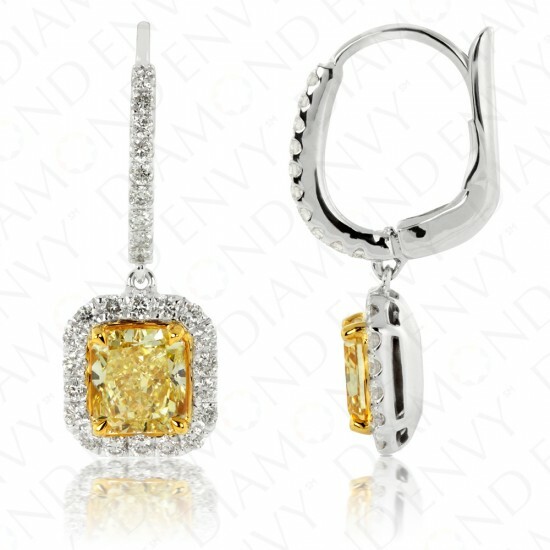 Each sunshine-filled Fancy Intense Yellow diamond is framed by a halo of F-G VS2-SI2 diamonds. The diamond drops dangle from secure leverback hooks adorned with F-G VS2-SI2 diamonds. The colorless diamonds total 56 pieces and are 0.45 ct. tw. These earrings are a pure delight and will be a treasured gift for the lucky woman who receives them. Diamonds never disappoint and these Fancy Intense Yellow diamond drop earrings are no exception. They make the perfect wedding, birthday or graduation gift. Gold weight: 3.90 grams. 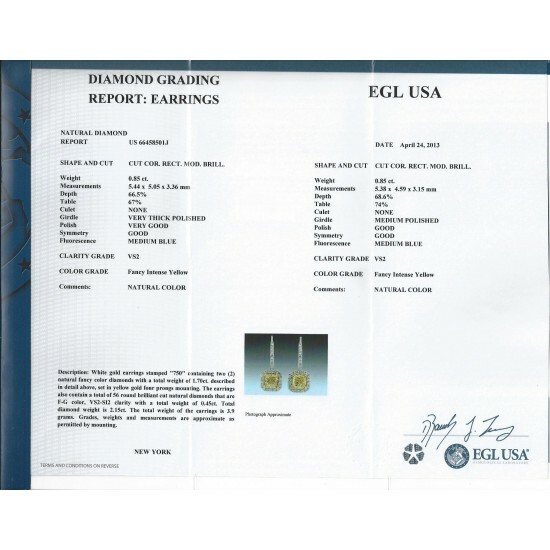 Earrings are EGL-certified.